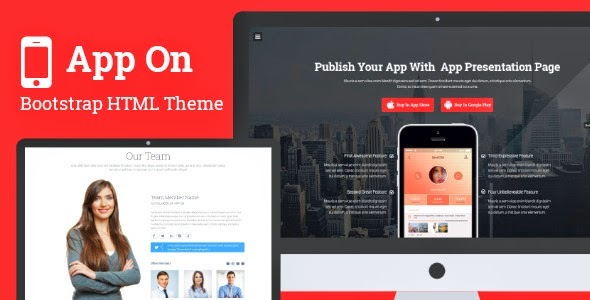 APP ON is a responsive HTML5 / CSS3 Landing Page Template it based on Bootstrap 3.1.1 and jquery 1.11.0 framework. APP ON comes with flicker feed. APP ON it’s HTML Template and not WordPress Theme. Item Reviewed: APP ON Responsive App Landing Page 9 out of 10 based on 10 ratings. 9 user reviews.